Christmas might be officially over, but BMW is still sending out presents in the form of good news about its 2017 model lineup. For 2017, the BMW 5 Series is getting a whole new look, and a new price tag to match. If you want this redesigned beauty of a car to rest in your driveway, it might be best to start your savings with all of your holiday money, because the starting MSRP is slated to start at $51,200, plus destination and handling. According to the German automaker, the BMW 5 Series will have several new and improved chassis systems, such as Integral Active Steering and Dynamic Damper Control with Adaptive Mode. This vehicle, which is the seventh generation of the BMW 5 Series, will also be shedding up to 137 pounds from its previous generation, thanks to engineers using lighter materials like magnesium and aluminum. When the BMW 5 Series goes on sale, it will be available in four trim levels, the 530i, 530i xDrive, 540i, and 540i xDrive. 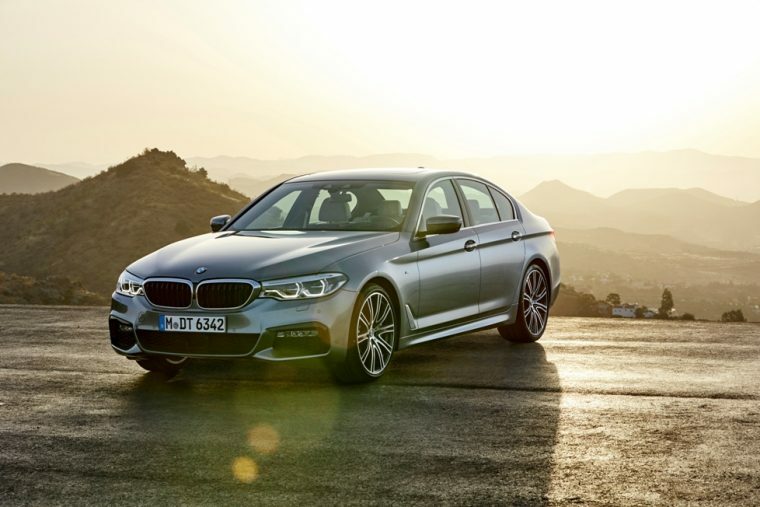 Later in 2017, it will be joined by the BMW M550i xDrive and BMW 530e and 530e xDrive iPerformance models. The good news is that you have a about a month and a half to prepare for this new vehicle, as BMW has announced that its first wave will roll into showrooms on February 11th, right after its big party at Detroit’s North American International Auto Show. Check back with The News Wheel during the auto show to see all the news about this new model when it makes its entrance to the car world. As of publication, the BMW press conference is scheduled for 10:45am on Monday, January 9th.